Nov 27 Smartphone - we need to talk! I know you’ll be confused by this form of communication with you, but we need to talk and I don’t know how to make you listen. I can’t take it anymore. You’re constantly staring at me and trying to get my attention: “Pick me up! Look at me! Use me! I’m right here!” Why do you have to be so persistent and obtrusive? Something needs to change. I love this feeling: early morning hours and I’m in the flow, focussing on my work, on my PhD. I’m in the zone and getting so much done. But I’ve made a mistake that will ruin everything. I forgot to turn you off and put you out of my sight. There you are, being all smug and smart, apparently. Peeping, blinking, buzzing. Not leaving sight of the corner of my eye. Blink. What if I miss something? Peep. What if something happens and no one can reach me? Buzz. What if someone needs to talk to me? I can’t resist and there I go. Uh, I got a message! And look at that cute picture my sister uploaded. I should text her, haven’t talked to her in ages. She was just on a date, I should ask her how it went. Speaking of dates, why hasn’t this guy texted me yet even though he has my number and clearly seemed to like me? I’ll text my mate, see what she says. Maybe I misinterpreted his intentions. Maybe I said something that put him off. – Do you see what you’re doing to me? Within seconds I’ve gone from focussing on my studies to doubting myself and all because of your obnoxious presence. This has to stop. How, you ask? Well, first of all I’m going to turn you on silent and turn off any potential blinking or flashing. HA! Look who’s the smart one now! Then I will install an app called Forest. 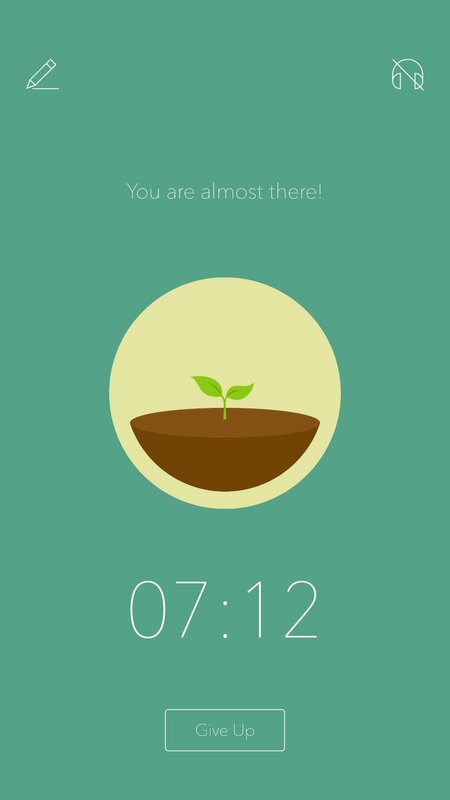 It lets me enter a time during which a wee tree will grow if I do not close the app. However, if I close the app, the tree will die. If I’m really successful, I can grow a whole forest. Other apps that I can use are HelpMeFocus, Flipd, or (OFFTIME). What’s that? You don’t think that’s going to work? Well, tell you what – I’m going to turn you off now. Don’t try to argue, I’ve had enough. 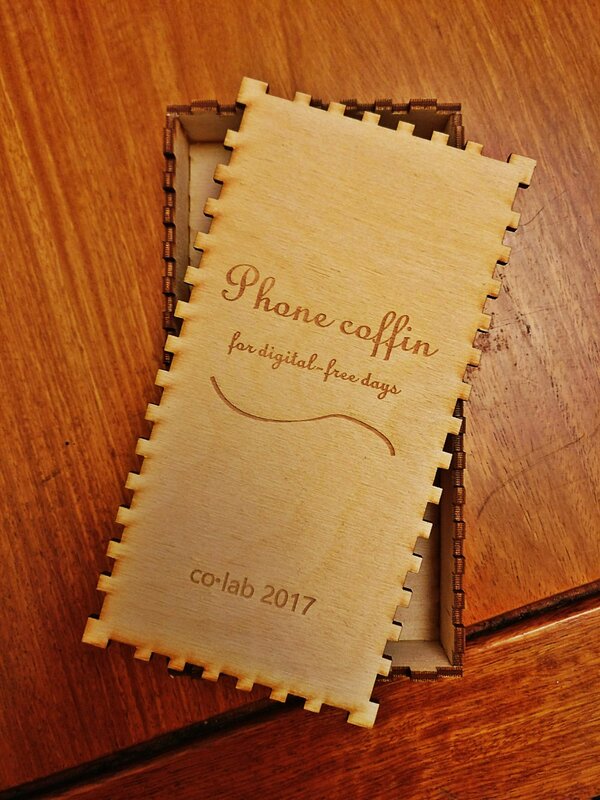 I will turn you off and put you in a drawer into the wee phone coffin I made the other day. Or better still, I will hand you over to my office mate who is only allowed to hand you back once I have written 1000 words and finished reading this paper. You can cry all you like, I need my space. If you keep complaining, I will leave you at home next time. You’re not helping. Don’t get me wrong, you know I love you. You’re fabulous with all your wee applications that make life easier. The possibilities you give me to stay in touch with my friends and family are brilliant. And the way you help me find my way when I’m lost is admirable. I love that you let me listen to my favourite music wherever I go, or that you provide me with some off time when I need a break. But I just can’t have you around me all the time. Because sometimes this love turns into resentment and we don’t want that, do we? I will have to get rid of you if that resentment becomes continuous and I’m sure you would be devastated if that were to happen. So please, understand my decision. Understand that I need my space and that you need be shut up once in a while. PS: Does anyone else feel like this? What are your tips to get away from digital distractions?